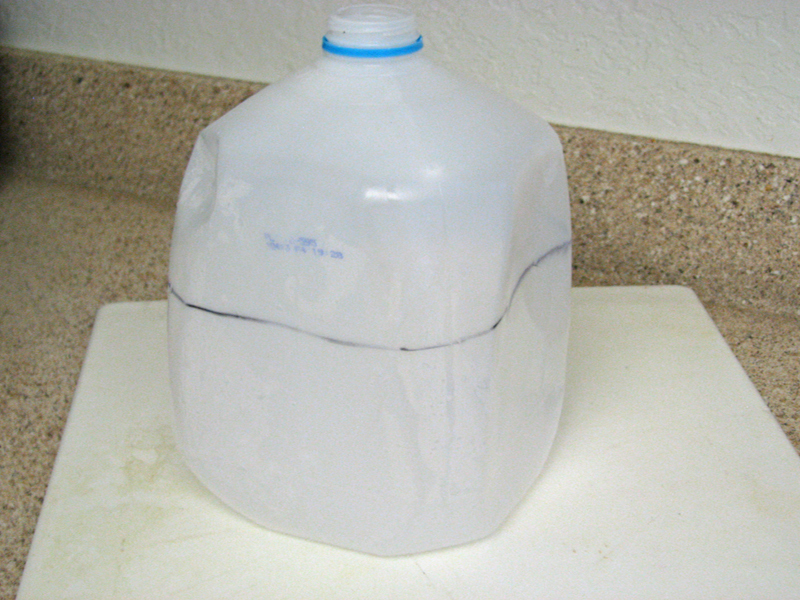 If empty plastic milk jugs stack up in quickly in your recycling bin, there are plenty of great ways to reuse them. 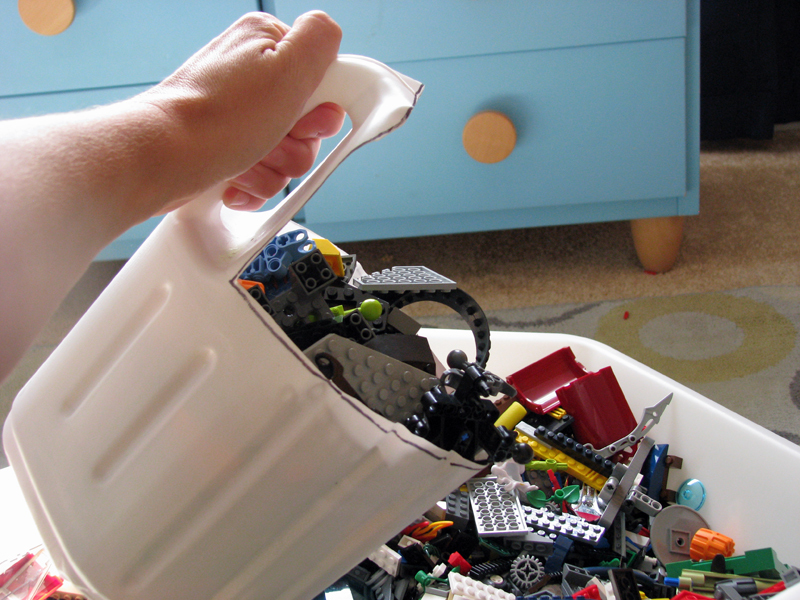 From a Lego scoop to a seed starter, here are a handful of fun, kid-friendly projects that make it easy to transform ordinary milk jugs into items that you and your family can enjoy all year long. Read on to learn how to make these five simple projects. 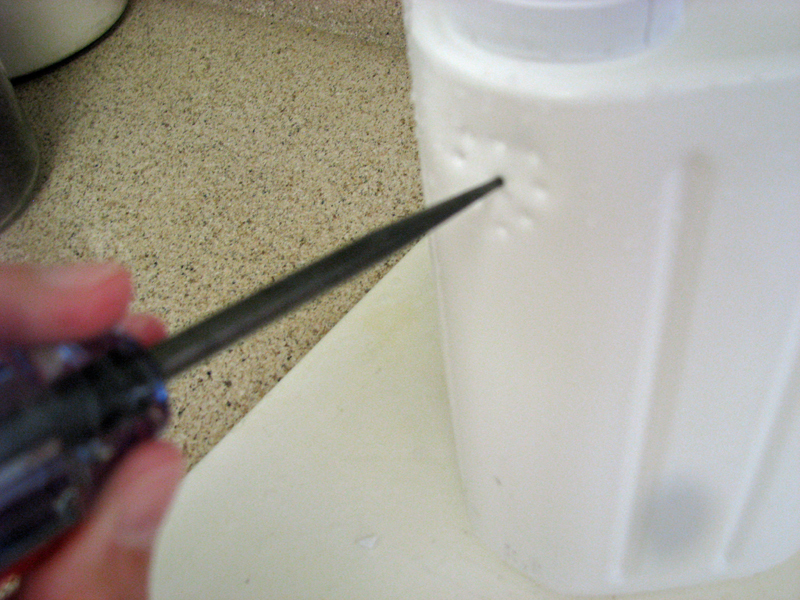 <h2>Project #1 - Bird Feeder</h2> <h3>Step 1</h3> <strong> </strong>Using your cutting tool or scissors cut the top off the milk jug, leaving as large of a base as you prefer. <h3>Step 2</h3> Using an awl or a thumbtack, punch a hole in the center of each of the four sides. Thread twine through each hole and tie with a double knot. 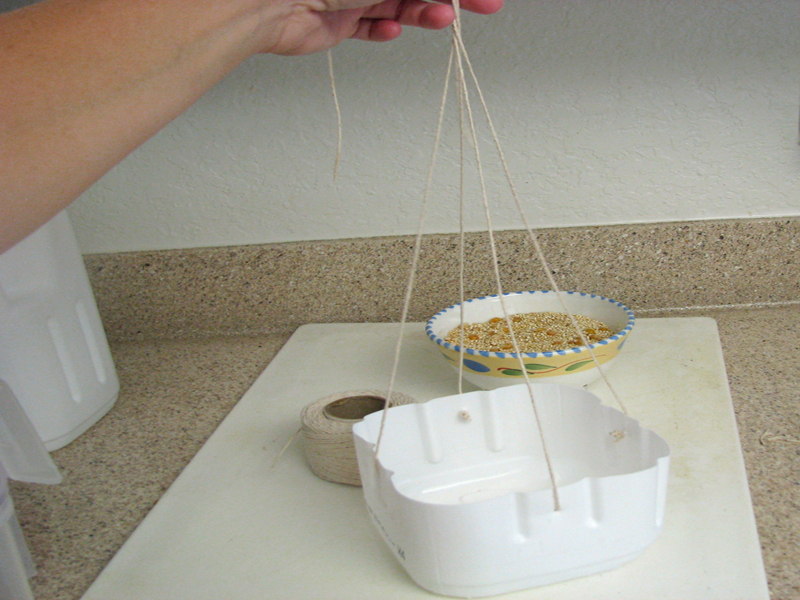 <h3>Step 3</h3> Tie all four pieces of twine together at the top in a knot, leaving a loop to hang the bird feeder by. 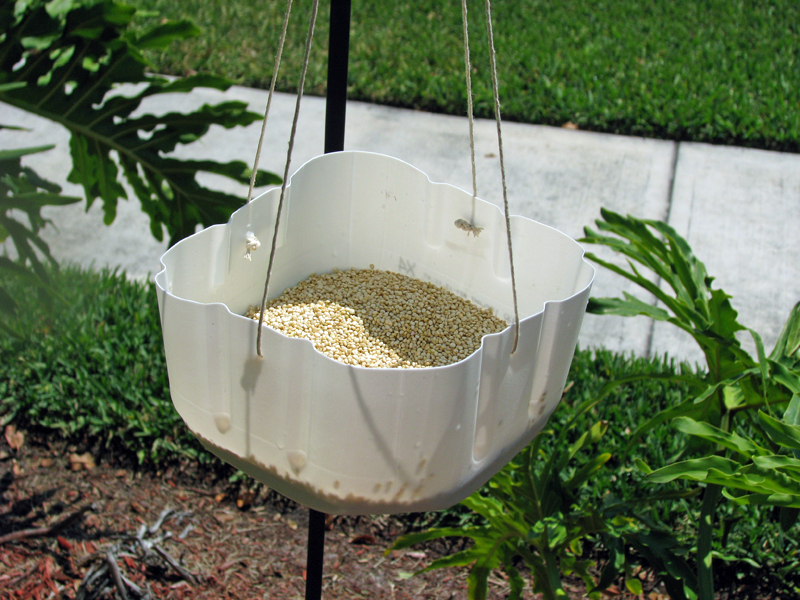 <h3>Step 4</h3> Fill with your favorite organic bird seed and greet the birds as they arrive in your yard. 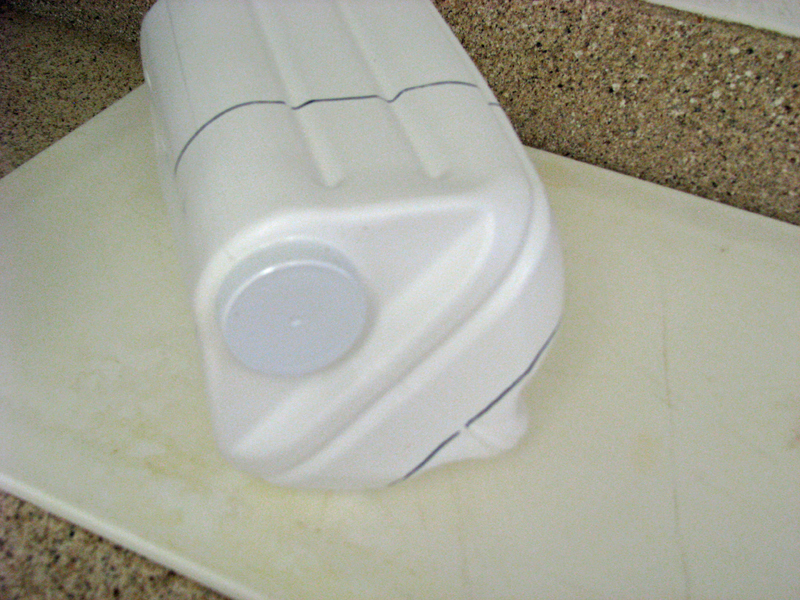 <h2>Project #2 - Lego Scoop</h2> <h3>Step 1</h3> Using a marker, trace the scoop shape onto a milk jug, leaving the handle of the jug. 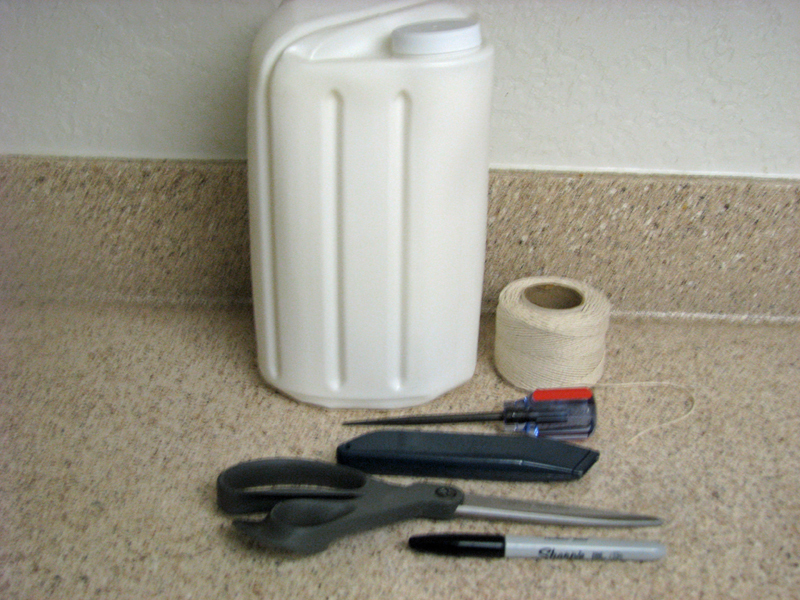 <h3>Step 2</h3> Using your cutting tool or scissor, cut out the scoop, leaving the handle in tact. <h3>Step 3</h3> Watch your child use the scoop to pick up large quantities of Lego's, small toys or even sand at the beach. 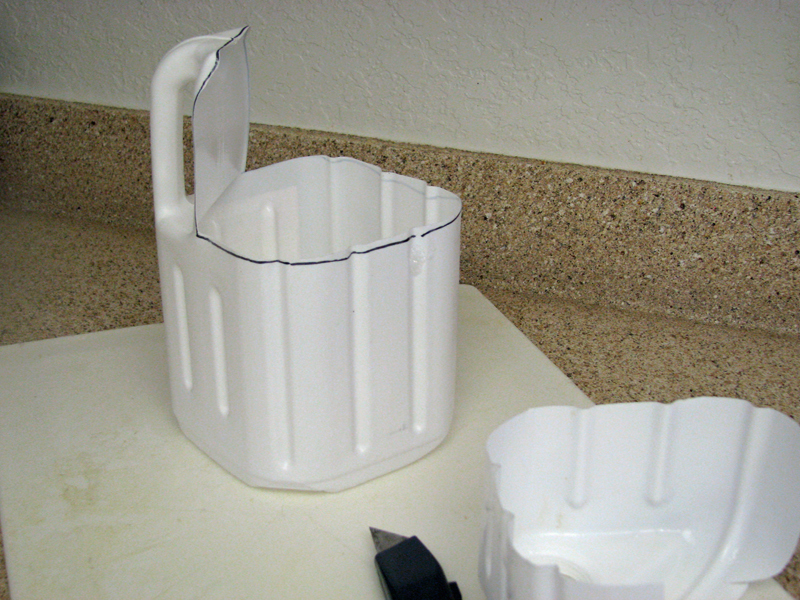 <h2>Project #3 - Kids' Dresser Drawer Organizer</h2> <h3>Step 1</h3> Cut the top of each milk jug off. I suggest cutting these to the height of your dresser drawers. 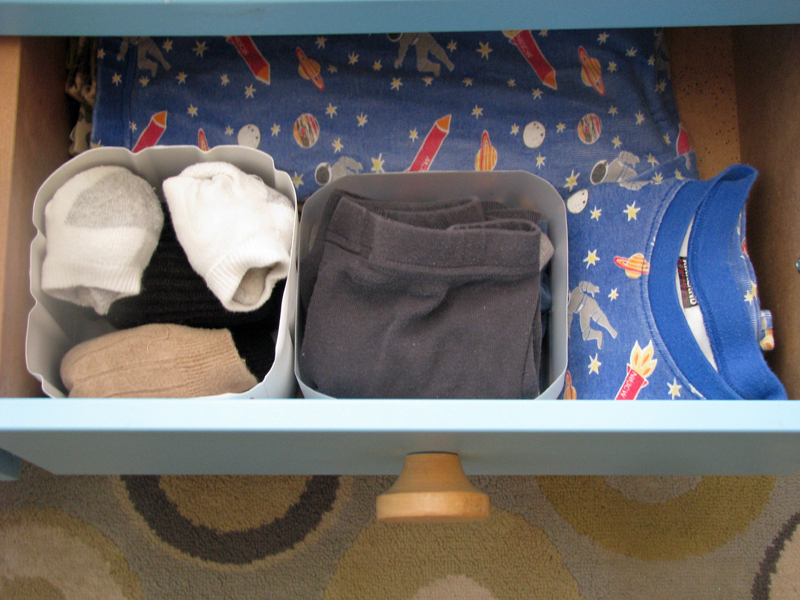 <h3>Step 2</h3> Place in the dresser drawer and use to organize socks, underwear, hats, jewelry, ties, and hair accessories. 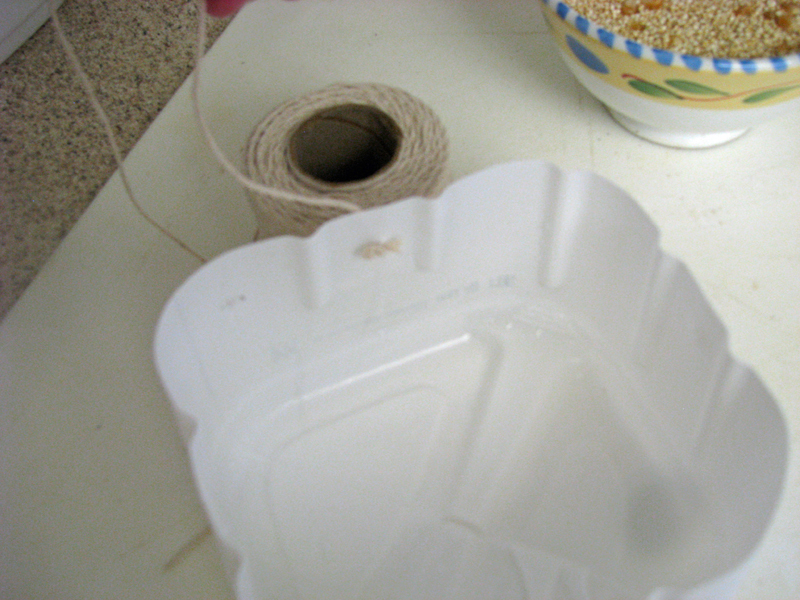 <h2>Project #4 - Seed Starter</h2> <h3>Step 1</h3> Cut a milk jug in half, keeping the lower half. 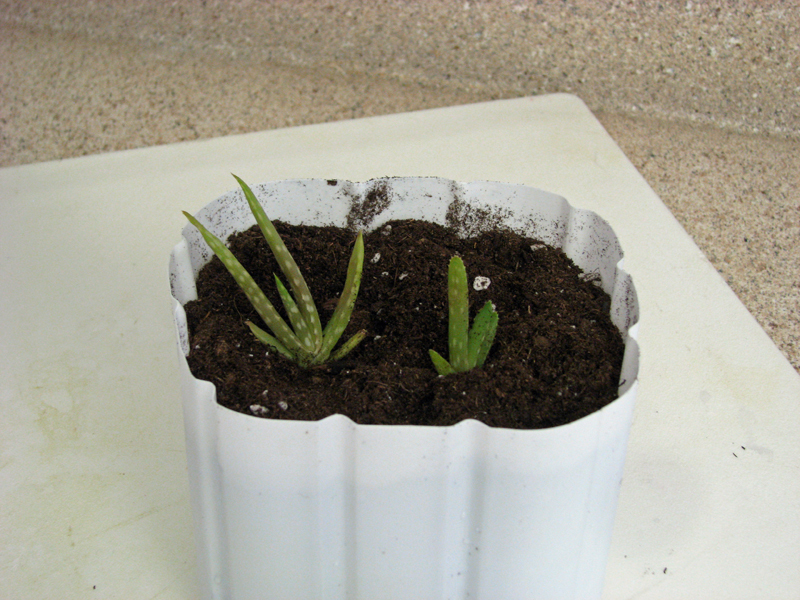 <h3>Step 2</h3> Fill with organic potting soil. Then, plant seeds, seedlings or other small plants. Place in a warm windowsill and watch them grow. 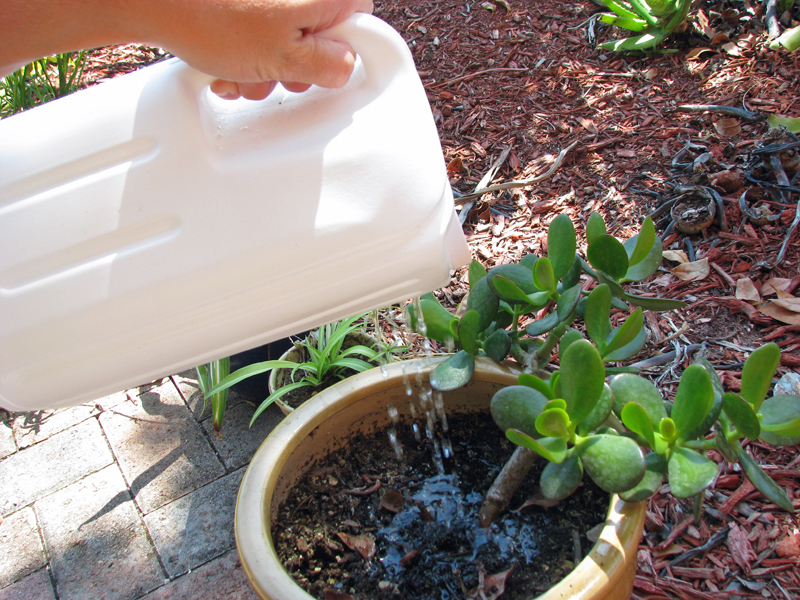 <h3>Step 2</h3> Fill the jug with water, replace the lid and send your child to the garden to water her plants.